Patan is located on the high area of land in the Kathmandu Valley to the southern side of the Bagmati River. Patan also was known as Lalitpur literally is the city of beauty. It is indeed a city of beauty and grace. Full of Hindu temples with fine gateways, guardian deities, and wonderful carvings. and Buddhist monuments, this city is the most wonderful and beautiful city of Kathmandu valley. Great place to learn about the art and architecture. The place has the prosperity for its tradition of arts and crafts, this city is best known for its rich cultural heritage. Best to call Patan as the city of festivals and feasts, fine ancient art, making of metallic and stone carvings. It is situated in the heart of the city and is the focal point for many tourists. The square is full of ancient palaces, temples, and shrines, also for their excellent cravings. The Patan Durbar Sqaure consists of three main chowk or courtyards, the central Mul Chowk, Sundari Chowk and Keshar Narayan Chowk. The Sundari Chowk holds in its center a masterpiece of stone architecture. The architecture and the designs are amazed to look through. The Krishna Temple lies on the west side of Patan’s Durbar Square. It is believed that this temple was built just because of King’s dream. One day the King Siddhi Narasigh Malla sees that the gods Krishna and Radha were sitting in front of the palace. then The king ordered a temple built on the same spot. During a war with a neighboring kingdom a decade later, the king called on Krishna to vanish his enemies. Then in gratitude, the king built a replica of the temple inside the Sundari Chauk courtyard. The Rudra Varna Mahavira is one of the unique Buddhist monasteries which contains an amazing collection of images and statues in metal, stone, and wood. It is also believed that the kings in the ancient times were crowned in this monastery. Many of the treasures offered by the devotees can be seen here even today. The another well-known place of the Patan is Mahaboudha In this place lies the Buddhist temple made of clay bricks in which thousands of images of Lord Buddha are engraved. The Terra-cotta structure is one of the fourteenth Nepalese architectural masterpieces. 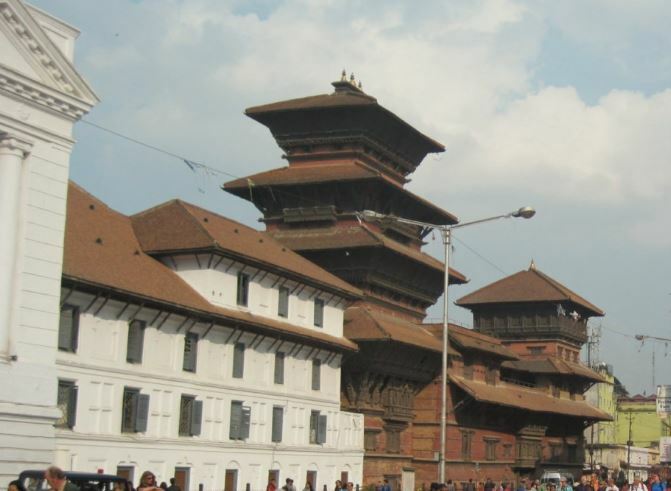 This is the place that you must visit during Patan Durbar Square Tour. The road from the Minnath Temple, down an alley, a white-columned gateway leads to the wide, open square containing the revered Rato Machchendranath Temple. It is known for the god of rain and blurs the line between Buddhism and Hinduism. Collection of metal animals, including a peacock, Garuda, horse, buffalo, lion, elephants, fishes, and snake makes the Standing Pillar much decorative. HimalayanTrekking.com is a Cheap Budget Tour Operator for Nepal. 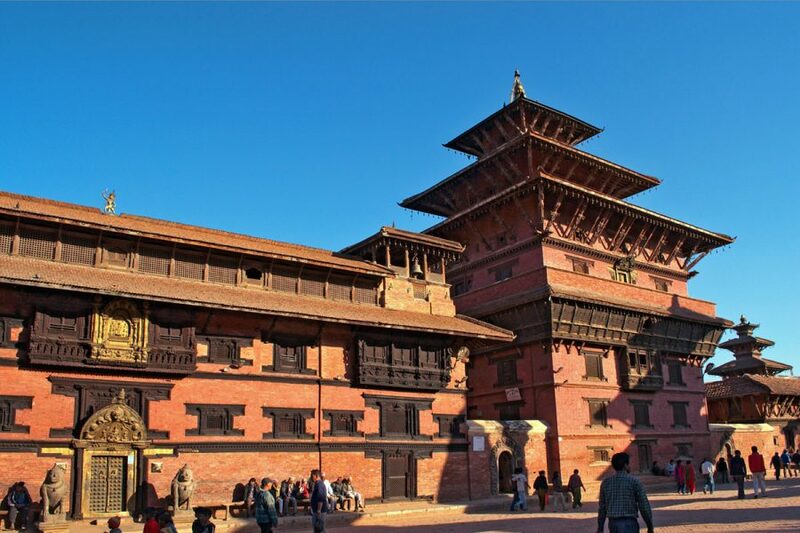 Patan Durbar Square Tour in Nepal is specially made for the needy people who want to experience the natural beauty of in peaceful environment in life-long. 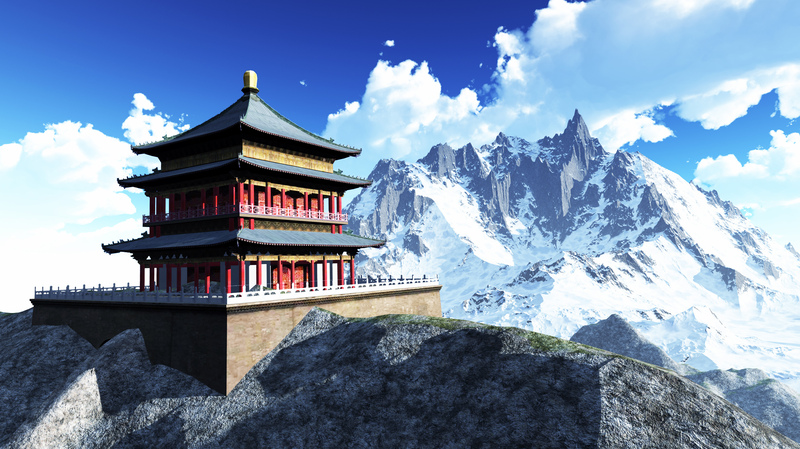 How to Travel to Bhutan from Nepal?